Not only does Link Building matter, they are a vital part of major search engine ranking and an important aspect of your web marketing strategies. Here are the five simple steps to building backlinks which meet Google’s search engine guidelines. Use these simple steps to start developing your back link building strategy. This article is not so much about, “Where to”, but, “How to”. The point of this resource is to give your business the architecture for a long term link building strategy that you can manage yourself. Because Link Building is such an integral part of your marketing and organic search result efforts, they are highly sought, bought and abused. Most of Google’s algorithm updates of the last few years have been tied to the poor quality and use of backlink schemes. And so, learning how to build links for yourself can save you time, money and a great deal of heartache. There are basically two kinds of link building strategies you will need to learn: Internally and Externally originating links. Internal links are those that lead to other pages on your site and other sites on the web. External links (backlinks) are links that point to a page on your site. Both are very important and can have a significant affect on your position in Google’s search results. This resource focuses on building a strong back link or off site link profile. You can check out our tutorial on building powerful internal links here. If you already have a deliberate Link Building strategy for your internal links, it’s time to turn to the Link Building you hope to build off site. Links from other websites that point back to your pages. There are 5 basic things to keep in mind when structuring your off site Link Building. Many people dismiss a link if it is not on a High PR (Page rank) page. But my experience has taught me that a link on a High PR site, even if not on a high ranking page, can still carry some very good juice back to your site. Don’t worry to much if the page your link is on has low PR. The thing to make sure of is that there is a dofollow connection from the highly ranked page (often a home page) to the page on the same site with your link. High PR links are hard to get. Dofollow links on those pages are even harder. Fear not! I have links on pages with zero PR but which have ranked on Googles first page ahead of my actual article! Think Domain authority, not just individual page rank. Word association, if used sparingly, can increase the importance of a link all by itself. Big brands carry weight. When I wanted to get a link to my blog on Technorati, I had to put a code in a post to verify the blog. So I created a post with the url simply /technorati. The only content in the post was the code. Do you know that for a while it was one of my highest ranking pages in Google! What does that tell you? An example of name dropping for our target page above (Torches) might include either text or link that drops words like, “Duracell batteries for waterproof torches”. The name dropping here is the word, “Duracell”. You can also use this association to your advantage by linking to the Duracell website alongside the link to your article, or even in your article. Known as co-citation, what you are basically doing it putting yourself in good company. If you are hanging around the authority websites, creating associations with them, Google might just get the idea that you are important too! This is not as important as some like to think it is. Google will often not have a clue if your link is relevant. For example, if I have a client with a shoe website, I may be allowed to add my link as the guy who does their marketing. What does Mallee Blue Media have to do with shoes? Nothing on the face of it. But it is a very relevant link just the same. I have seen some insane examples of this. Never-the-less, relevance helps. Building and expanding on the “Chunking Method” above will give you a tonne of ideas for relevant sites to look for. Quick Tip. If you can find a use for topics that cover design or colour, head over to www.colorcombos.com. They are a plenty of websites that will provide a dofollow profile link. What’s more, by creating colour combo’s and following others you can create a funnel link that draws PR from many pages on their site, back to your profile and on to your web page. Even better than a profile link would be to offer to post your article as a guest on other websites with similar interests and audience. It’s good to have a link back to your target page that is permanent. It’s even better if your link can travel. 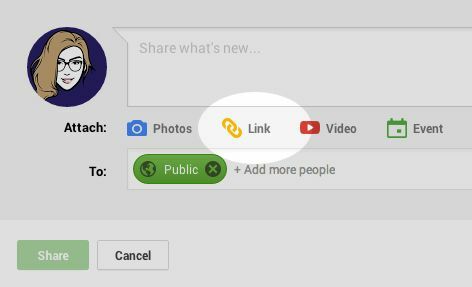 Google + provides this possibility with a link in your feed which can be picked up by other users and shared throughout Google’s social platform and beyond. Google will even give your e-commerce store prime real estate through Google Local My Business, showcasing your latest article or product on its first page. Twitter is also a good option for travelling links. Though the link is nofollow the traffic can be acey-pacey. The important thing to remember is to place the link in the link section and not just in the body of the post. Also, don’t forget to actually share your resources with your friends, colleagues and other websites which may be interested in your work. Be brave, write to them and show them what you have created. Invite them to read and share it with others. Page authority is not just built by dofollow links passing page rank. It is also created by traffic. Ultimately, you want your clients to see your site, not just Google’s penniless spiders. So, ask yourself, where do your customers gather on the web? My clients tend to gather in forums related to e-commerce and small business. For example, small businesses that run a website built on WordPress tend to gather at WordPress. And since I have a passion for both WordPress and small business, I hang out there too. It’s a great way for me to meet new people, help out new clients and stay in touch with the people I enjoy working with. It’s also a place I might link to an article or blog post on my site that I think would answer some of their questions or provide them with valuable information. If you are looking for some good link building tactics, try Jon Coopers page. It has an enormous amount of information on how to source the links. Finally, If you create content that naturally attracts links, it not only saves you having to get them manually, but it also increases your traffic and interaction with your site visitors. This is where your content and link building strategy join forces. Aim to create high quality, lengthier resources. One really good resource a week, or even only one or two a month, can have greater long term gain and better Link Building potential than 5 posts of low quality every week. Having said that, for many sites content marketing simply doesn’t make sense – either due to their size, target audience, culture, resources, or products. There is no one-size-fits-all online marketing solution. But there’s other ways to build good links that make sense. Focus on the human value – build links that you would want even if Google didn’t exist. Build links that are for the betterment of mankind, and the web. Build links that you wouldn’t hesitate to show a friend, colleague, or even competitor. Wow! Great Man, your internal link building technique is awesome. No Sachin, YOUR awesome. My strategies are just ordinary. Go try some out. Thanks Van, Glad you liked it. This was a very useful article in helping me to build back links. I am running a property portal. And doing back linking as well but they are not working. Kindly help me regarding this. Or provide me some useful source for backlinking. Sure, happy to help. What kind of help do you need? Currently, I am struggling with generating enough traffic with back-linking. I think the key is to spread your seeds around the internet and not necessarily in the same spot (same domain) over and over. I always build high quality tier 1 links (guest post, blog posts and such) and then I use special software to rank those in top 100. This is the guide I have been following and that worked perfectly for me. I tried to follow many “creative” link building methods, but they took too much time and results were only mediocre. Thanks for ur useful article, very helping me now.. Very good article! Hope you dont mind if I share this on twitter. Question: how would you target/approach people to link to your blog? and for those that don’t have the time, would you recommend paying people from say, fiverr, to build high PR links once in a while? Interesting and really useful article. I need more backlinks for my site and your post will help me to get more backlinks. Thanks for sharing such important tips. Nice article David. Learn’t a lot. You can also check my blog on tech tips and updates. This is what I was looking for all this time, hopefully all of the links above can still be utilized to increase the traffic of my website. It helps me for increase my site rank in google. How much weight does No-follow link carries compared to do-follow link? Can anyone guide me here? How to know how much weight does a single backlink weighs on ranking factor? Excellent article.its very interesting and very helpful for me and others. Hi thanks for sharing such a nice article with us. I’ve nothing to express my feeling with your great contribution. Your method does enlight my way to do more great SEO to the portfolio of my niche site empire. Hey! Nice article, quite useful for me. to build back links. Hi Sarah, I’m glad you found the article useful. Building backlinks has changed so much over the last 5 to 10 years but they’re still such an important part of ranking a site and drawing traffic and qualified visitors to your website. Well, Thanks for sharing such an informative content with us. This is really useful, I really need it and I will start to do it. No worries my friend. Glad you found it useful.